It’s a well known fact that many people are very passionate about their bed. From the frame, to the perfect duvet and the softest pillows there are many steps to make the ideal bed. The final touch, the so called cherry on top is bed linen. The right linen can make a bed look put together and very inviting. Some of the most beautiful beds, the ones that we see in home decor magazines often feature white bed linen, for that crisp and stylish look. Warm, white bed linen as opposed to bright can be complemented with many different colors of throws and pillows and can fit the decor of any room. Some great pillow cases feature an oxford edge and a frame of diamond and hem stitch drawn needlework. This diamond stitch can be also maintained in the top sheet of your bed as well as through the duvet cover, so that perfect cozy look. An alternative look could be the hem stitch, which features more visible lines along the edge of the betting. These types of linens are often associated with swank city hotels as well as cute and cozy bed and breakfasts in the country. 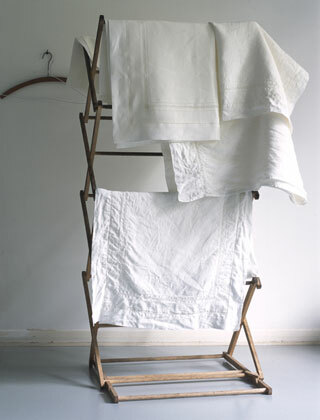 Crushed linen is one of the newest fads in the bedding; it is great for those of us who loathe ironing. The bed linen looks soft and crisp without every coming in contact with an ironing board. Crushed linen can come in a variety of colors including Prussian blue, slate grey and ivory white. The final addition to the bed could be a small pillow case. These look wonderful on a beautiful bed, and can be monogrammed with initials for that more personalized feel. There are many ways to make a bed great, just be careful otherwise you may never want to leave it.